Much about 2nd John is shrouded in mystery. In most epistles we know to whom they were addressed, we know precisely who wrote them and we are reasonably certain when they were written. In 2nd John, the author identifies himself only as the elder. The recipients are not identified by location or name. For centuries they have debated whether this epistle addresses a literal individual lady or a metaphor for a local church. It is amazing that such a tiny epistle is so much debated. As you will see there is a tremendous amount of significant information in this epistle and it reiterates and reinforces many of the same ideas, themes and doctrines we see in the Gospel of John and the epistle of 1st John. 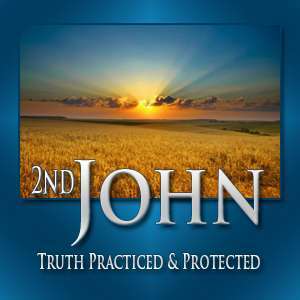 Dr. Dean taught this 17-lesson series starting in 2002 while pastor of the Preston City Bible Church in Preston, Connecticut.